The Dumaguete Presidencia or City Hall was officially declared an “important cultural property” (ICP) by the National Museum of the Philippines (NMP). NMP’s Cultural Properties Regulation Division Deputy Chief Raquel Flores said this property, under the law of the National Museum, passed as exemplary aesthetics, engineering, architecture, and history and social impacts. 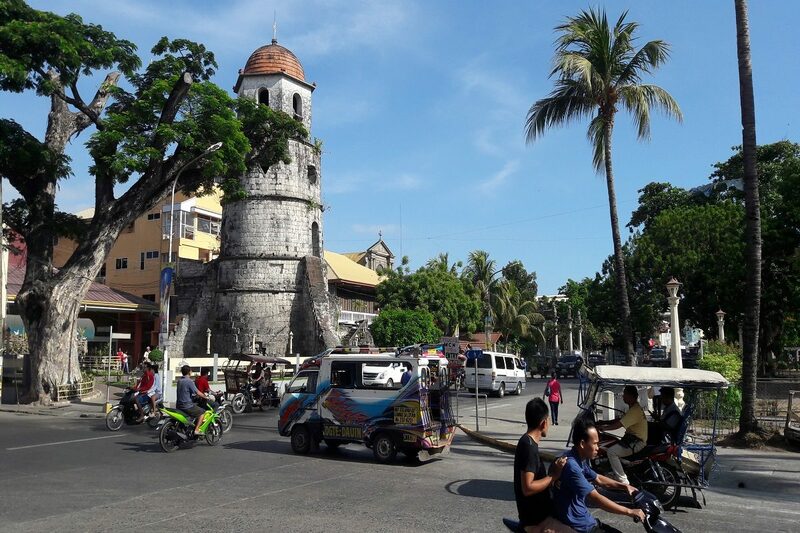 Dumaguete City Mayor Felipe Antonio Remollo expected that this would be the start of community consciousness to preserve old structures that are historical monuments that will be a legacy for the future generations. In the next three months, the National Museum can start putting in national treasures which are now deposited at the NMP. Remollo said the original Presidencia will be transformed into a repository of the important artifacts of Dumaguete that date back as far as 500 BC, with most of them unearthed in Bacong, Negros Oriental. It qualifies as an ICP on account of it is designed by Juan M. Arellano, one of the country’s greatest architects, and possesses “exceptional cultural, artistic and/or historical significance” to the Philippines as defined by the Cultural Properties Preservation and Protection Act, the National Museum Act of 1998, and the National Cultural Heritage Act of 2009. The declaration of the Dumaguete Presidencia or City Hall, built in 1936, as an ICP entitles it to be granted government funding for its restoration, protection, and conservation by the National Museum. Remollo welcomes the declaration as this will enhance the city’s reputation as a heritage destination. The mayor expects that the Dumaguete Presidencia will become another tourist destination for heritage lovers and provide the next generation a better appreciation of the city’s rich culture and heritage. The Dumaguete Presidencia is the fourth to be declared as an ICP in Negros Oriental after Silliman University, Sisters of Saint Paul of Chartres, and Bacong Church. The building is currently undergoing restoration works with a budget of P49 million and will be converted into a branch of the NMP that will house artifacts and historical pieces of the city, province, and Central Visayas. The National Museum (NM) is one of the lead government cultural agencies tasked to achieve the goals of instilling cultural consciousness and a sense of pride and nationalism among Filipino citizens through its activities covering the sciences, education, and culture. To ensure the preservation and protection of cultural properties in the Philippines, NM is mandated to declare significant cultural properties as National Cultural Treasure or ICP. The Province of Negros Oriental marks its observance of National Arts Month with a forum on tourism, music workshops for students, and workshop on heritage mapping. Provincial Culture and Arts Officer Rafael Duhaylungsod disclosed the provincial government through the Negros Oriental Center for Culture and the Arts (NOCCA) and the Provincial Tourism Unit (PTU) has lined-up activities for the entire month of February to promote this annual monthly observance noting that this is the first time the province is celebrating Arts Month. The local Arts Month celebration kicked-off with a Forum on Culture on Tourism held on Feb. 8 at Foundation University with Department of Tourism (DOT) Asec. Myra Paz Abubakar as guest speaker. In her speech, Asec. Abubakar presented the major provisions of R.A. 9593 particularly the provisions which encourage and strengthen the culture of tourism in the country. The DOT official underscored that it is important to highlight in all aspects the history, culture and arts of the people in order to promote a vibrant and authentic culture on tourism. “Share and teach each visitors the story of our ancestors and our identity. This is very important kasi kung hindi natin alam ang istorya ng ating mga ninuno, darating po ang araw na wala tayong maikukwento tungkol sa ating mga nakaraan (If we don’t pass on the story of our ancestors, there will come a time that we could no longer share stories of our past),” Asec. Abubakar stressed. “IPs (Indigenous People) should always be in the forefront. Cooperation with government instrumentalities and the private sector should be strengthened,” she added. Asec. Abukakar addressed students and some tourism officers and key personalities in the province who attended the forum namely Provincial Administrator Henry Sojor, economist and former Finance Secretary Gary Teves, and Silliman University Vice-President for Academic Affairs Dr. Earl Jude Cleope. National Museum of the Philippines – Bohol Information Officer Emmylou Palacio-Noel also participated the event. On the other hand, the NOCCA and PTU, in partnership with the Department of Education (DepEd) schools division of Dumaguete City, Bayawan City, and the province of Negros Oriental will hold a series of music workshops for students starting Feb. 11 to Feb. 16. “We moved to the grassroots. Our participants are really students and not the professional singers and performers,” Duhaylungsod said. Another round of music workshop is also slated on March 4 to 9 covering the school divisions of Bais City, Tanjay City, and Guihulngan City. Aside from this, there will be a Call for Budget and Project Proposal Workshop on Heritage Mapping in cooperation with the National Commission for the Culture and Arts (NCCA) to be held in this city on Feb. 28. All tourism officers, cultural officers and the chairpersons of the tourism committee of every Sanggunian Bayan or Sanggunian Panglungsod in the province are expected to participate in the said workshop. Duhaylungsod also noted that universities and colleges in the city are also celebrating National Arts Month. The official cited Foundation University who will be hosting the 11th Cinema Rehiyon or the annual gathering of over a hundred filmmakers across the country. With this, Duhaylungsod expressed his gratitude to the agencies who have partnered with NOCCA and the Provincial Government of Negros Oriental in this endeavor. “This may be a simple occasion but this will provide impact and also a lot of information to our students and our community,” Duhaylungsod remarked.